Every time you are expecting dynamic data to be added to your map (markers), you want to make sure that none of them appears outside the map. The best way to handle this is by making a map that automatically adjusts to the markers added. In order to achieve that, we useÂ LatLngBounds object. A bounding box is simply a rectangle defining an area. 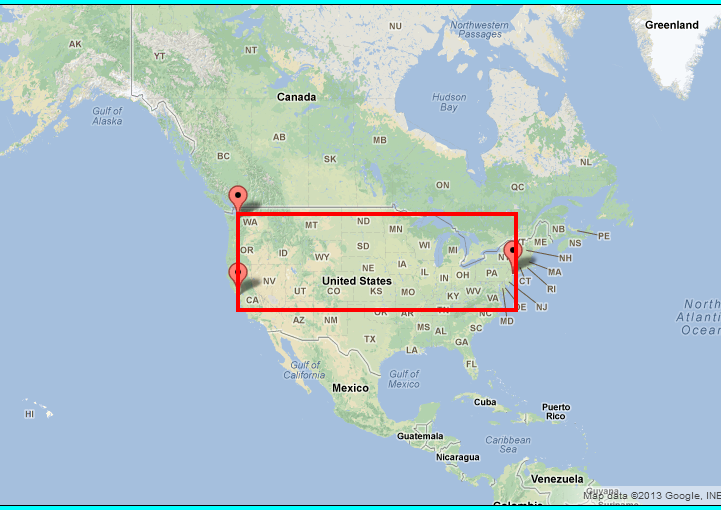 Its corners consist of geographical coordinates and everything inside it is within itsÂ bounds. You can use it to calculate the viewport of a map and also determine if an object is in a certain area of the map. The bounding box is of type google.maps.LatLngBounds object. It takes twoÂ optional arguments (southwest and northeast corners of the rectangle). Those arguments are of type google.maps.LatLng. 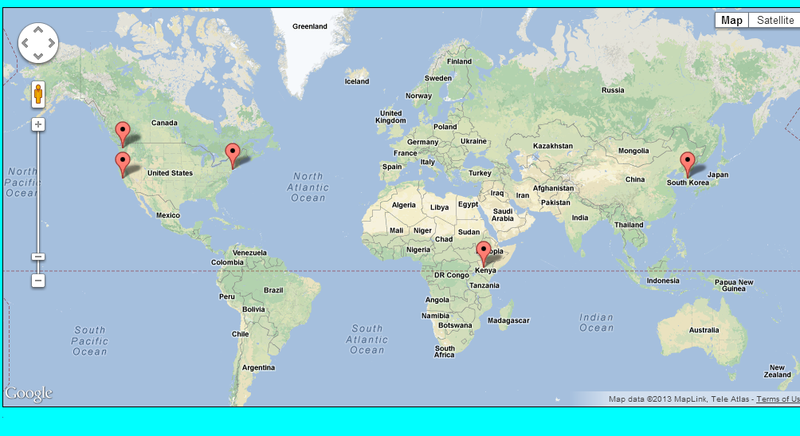 The maps loads, but the links don’t work in that clicking any one of them takes you to the one for South Haven. I can post the code here or you can view source. I’ll owe you a big one to help me with this. I cannot tell directly what the problem is here but I would look at whether you have attached click listeners to all your links and make them set the different coordinates as needed. I think what you really need here – after looking at the source, is to create one map and then when someone clicks the link, update the latitude and longitude for the respective locations. That is all I can’t think of. I hope you fix it soon. And I’d be willing to pay for your time. I will look at it tomorrow; and I appreciate your suggestion but I am willing to help you for free. You can chat with me on gmal ; elisha.java [at] gmail dot com. add me to your contacts and let us solve this problem.